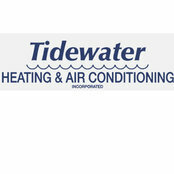 Tidewater Heating & Air services and repairs all major brands of heating and air conditioning equipment in Wilmington NC and surrounding areas. Our highly trained service technicians are the best the industry has to offer. Remember, annual maintenance will allow your system to operate at peak efficiency and it will prevent untimely failure by extending the life of the equipment.